Designed to improve your training performance, yet sharp enough for smart casual wear at the same time, our Strike Raglan Long Tee is a versatile garment that belongs in every sportsman’s wardrobe. Canterbury’s Strike Raglan Long Tee is a must have for every sportsman and fitness enthusiast’s wardrobe. This tee features a longer body length which adds to the comfort and ergonomic fit, as well as a scoop back hem to keep air circulating more freely while exercising. 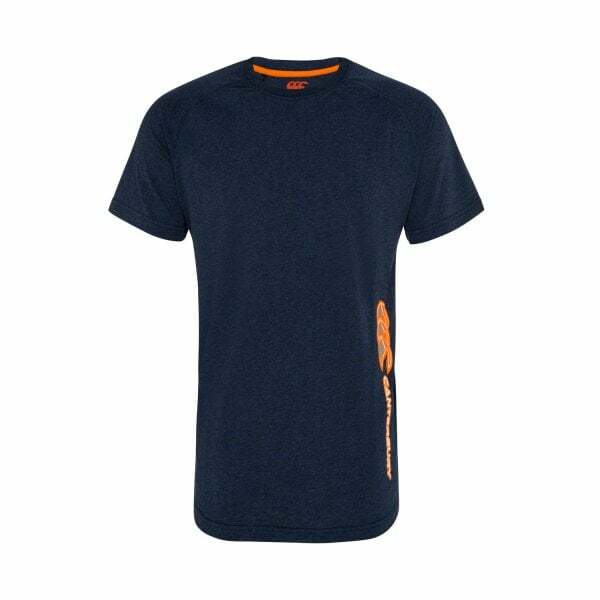 The Cotton and Polyester blend of the material also makes for a soft hand feel which, combined with the distinctive Canterbury logo on the torso, makes this tee versatile and stylish enough to be worn at the gym or when you’re spending some down time with family and friends.